Having a brilliant idea is a very good start, but every industry have its pitfalls, and hardware industry is no exception. In this article I’m going to share with you what I believe to be the best process to bring your hardware product idea to life. I’ve been a consultant for various firms for over 10 years now. I have made mistakes, they — the firms I’ve worked for — have made mistakes too, and together we learnt a lot from our mistakes. That’s what makes experience. So, from where to start? First, don’t rush things. Hardware needs planning, just like any other industry. However, lack of planing can be much more disastrous in hardware industry than in software for example. The more time you spend specifying the project, the more time and money you’ll save down the line. Let me explain: writing down the usage scenarios, drawing diagrams, explaining in plain words how you want your product to look and feel like, specifying the expected battery life (to name a few example) is paramount. It will help you spot incoherent design choices before any investment is made, and before precious time is wasted on prototype design and manufacturing cycles. Then, when you have a solid project specification, you can consult a design house. Without this detailed specification, there is no project. Don’t trust design houses that accept to work without asking for some solid specifications from your end. They’ll waste your time! While we’re talking about project specification, let me tell you one last thing: If you can’t write down some specs for your project then just stop. Whatever the reason is, if you can’t draft some minimal specifications, or get someone from your team to do it, that means you need a pre-study phase to help you get your ideas down on paper. 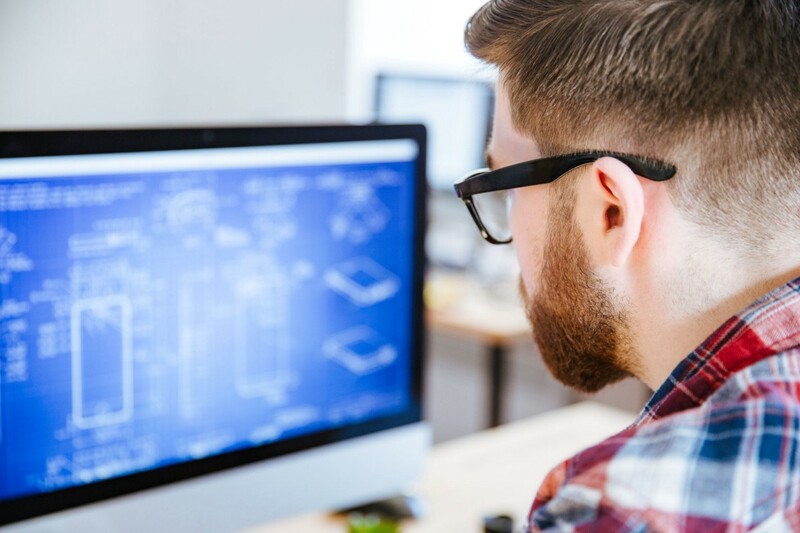 At Ikalogic we can help you with that pre-study which is vital to get your project specification to the level of maturity needed for actual design work to start. Along the years, I have seen how projects evolve, from the idea to the final industrial product. And one pattern always repeats itself: no matter how well the specifications are written in the first place, at some point or another, you’ll have to adapt your initial ideas to some external parameters (like market evolution, emerging competition, etc). At Ikalogic design house, we have been applying a unique collaboration technique that has proven to be very successful: we design the hardware as well the middle-ware (the parts of the embedded software that are closely related to the hardware), and encourage the client (you) to take care of the application layer. Not everything can be specified in advance. Sometime trial and testing is the only way to move forward. With this method, you can perform as much iterations as you wish without additional cost. Having an in-house knowledge of your product’s technical details is vital if you wish to see your company grow up, raise funds, and hire more people later. Of course, a design house can handle the whole project all the way from the hardware up to your application layer, but when possible, we encourage our clients and partners to get more involved. Despite what you may think, moving from prototype to mass production is probably the most critical part of the project, and only highly experienced design houses will make the right choices from the start. I don’t want to scare you, but there’s a million things that can go wrong when going to production. And to make things worse, any mistake can be disastrous given the number of units being manufactured. Fortunately, there are simple steps and design rules to be followed in order to avoid design errors from slipping into production, and reducing the likelihood of production disaster to near 0%. Every idea is unique and every product is different. That’s why we use the process below to ensure every project is carried out in the best possible conditions. Don’t hesitate to contact us to have an initial project interview. Just drop us a mail, and get your project started with trustful, passionate and experienced partners!